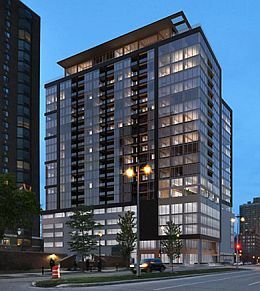 A downtown Milwaukee apartment high-rise that would use high-grade timber, not steel, for its frame has won Plan Commission approval. The 21-story Ascent would feature 205 apartments and a building frame made with high-grade, engineered timber, instead of steel. It would be one of the tallest such buildings in the world. The 238-foot (72.6-metre) Ascent would be the tallest mass timber building in the western hemisphere, said Tim Gokhman, a New Land director. It would eclipse an 18-story mass timber university residence hall that opened in 2017 in Vancouver, British Columbia. New Land hopes to start construction fall of 2019 and complete the project by spring of 2021. It also needs Common Council approval. For more on this story, go to the Journal Sentinel.